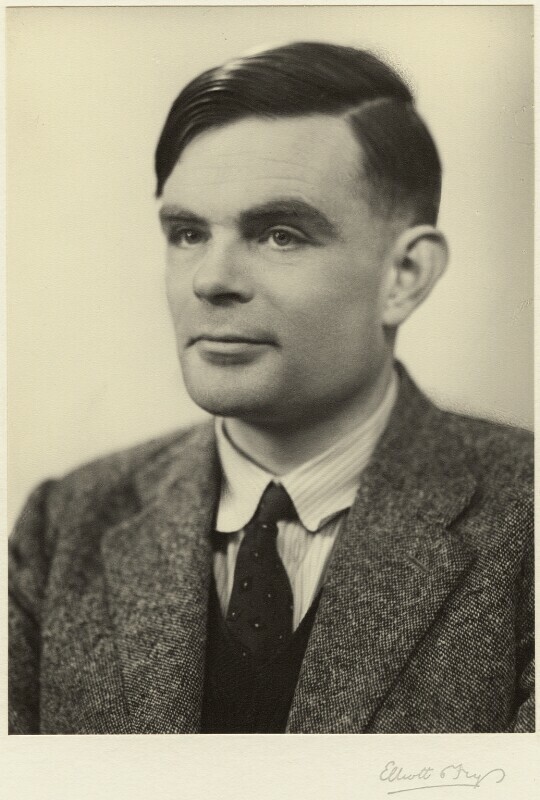 Alan Mathison Turing (1912-1954), Mathematician. Sitter in 3 portraits. The Conservative Party wins the general election and Winston Churchill returns for a second term as prime minister. On the centenary of the Great Exhibition of 1851, the Festival of Britain is held as a nationwide celebration of British culture, and as an impetus for post-war regeneration. As well as various art, science and industrial exhibitions and events, a major regeneration project was initiated for the South Bank area of London under the directorship of the architect, Hugh Casson. Libya declares its sovereignty from Italian rule, becoming the first independent state to be created by the UN. At the Treaty of San Francisco, 48 nations sign a peace treaty with Japan, officially ending the Pacific War - the last battleground of the Second World War.